Growing up in a close Jewish household meant holiday time was always filled with bonding, memories, and of course brisket!! There was not a holiday that went by where brisket was not on the menu. It was always a big hit but there is a distinct moment in time when I can remember the brisket going from being prepared in the oven to being put on the grill. WOW-this was a game changer and there was no turning back. Now that I have a family of my own and carry on the Jewish holiday traditions, we also carry on the brisket on the grill tradition. Have you tried brisket on the grill? If you have not, this is a MUST. 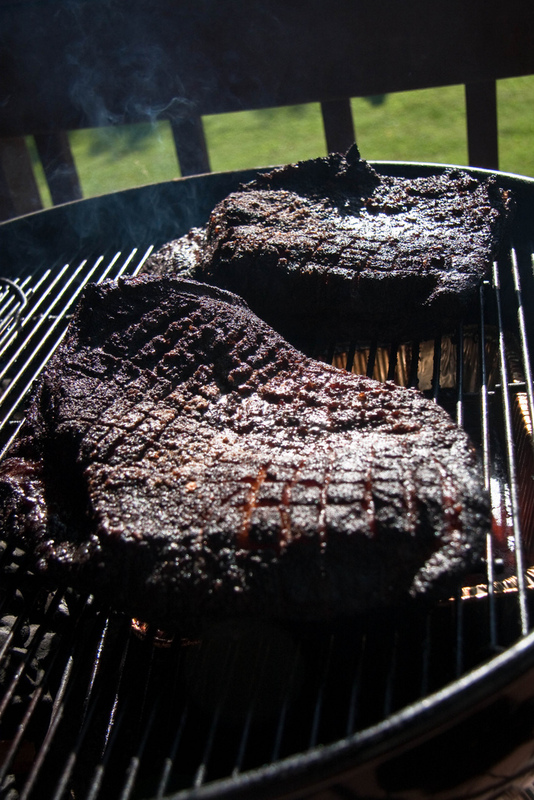 Here are some simple tips to ensure your brisket will be a crowd favorite. Make sure to plan ahead as brisket takes a long time to grill. Plan for about 8 hours at 250 degrees over indirect heat. Think of brining the brisket. A brine not only adds moisture to the meat, but flavor too. Figure 24 hours to brine the brisket, 1 to 2 days before the cook. Get essential tips on brining here. For a recipe you can use any of the ones for a turkey, go here to find them. Take the brisket off the grill when the internal temp hits 190 F and let it rest for an hour. A lot of brisket probably means a lot of leftovers. Brisket sandwiches the next day or grilled brisket quesadillas are both favorites. If you need more brisket tips check out our tips here, the same instructions that we have for the smoker applies to gas and charcoal grills.